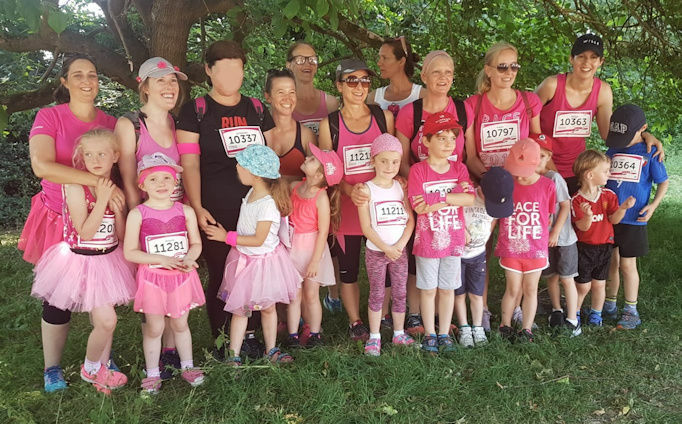 In July a group of Year 1 and Year 2 mums and children undertook the Race for Life in Victoria Park to raise funds for Cancer Research UK. The course was 5km, run in 28C which was an incredible achievement. It was a wonderful day with a wonderful atmosphere and all the children (and mums!) ran extremely well and without a fuss – despite the heat – and generally running quicker than their parents!! The group raised over £2,300 for Cancer Research. Thank you to everyone who donated. Next year we aim to have an even bigger group!